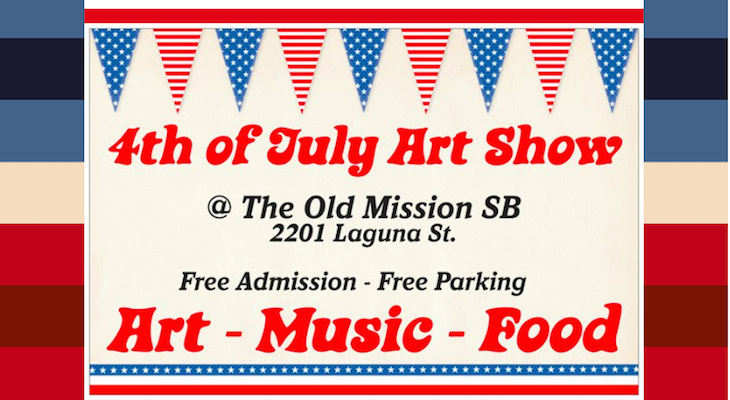 The 4th of July Art Show Returns to the Old Mission Santa Barbara! Come and see over 80 artists and artisans working in a variety of medium from paintings, sculptures, art glass, leather goods, fabrics, woodworking, and very unique creations! Avoid the huge crowds at the beach and come up where the locals go on the 4th! Please visit our WEBSITE for photo gallery.